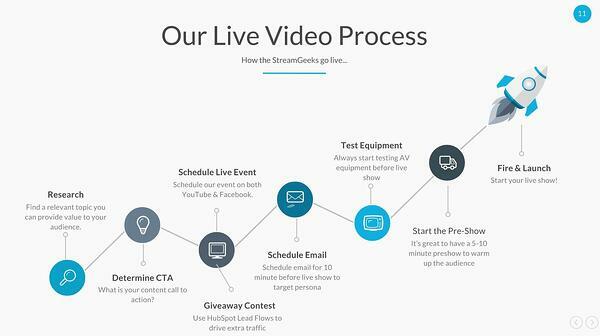 At StreamGeeks, our mission is to help businesses discover the power of live streaming. We see live streaming as the bridge between internal teams and external communities on social media. Using this type of video communication can be an incredible differentiator for your business. We have found that real-time engagements with your audience help create an authentic form of communication unlike any other type of media. Facebook recently released a report showing that viewers spend three times as much time watching live videos as they do with on-demand video content. Forbes Magazine recently published a report noting that customers are 64% more likely to purchase a product after watching a video. Great Content + Live Viewer Engagement + Social Media Advertising / Boosting = Success. As a good marketer, your team surely has the goal of attracting new subscribers, page likes, and viewers for your content. 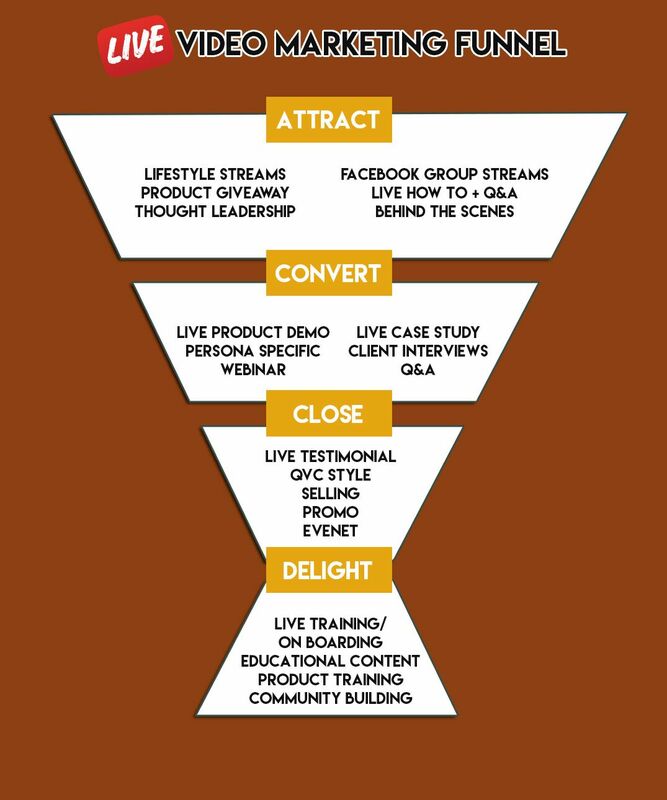 While this is always a great place to start, it’s important to think about the inbound methodology when focusing your live streaming and video marketing. In the early attract stage of your funnel, it’s important to grow your social media audience with Facebook and YouTube engagements. Because live streams are so exciting to viewers, you'll find that it performs well attracting strangers to subscribe to your social media channels. Ultimately, your goal is to create leads. 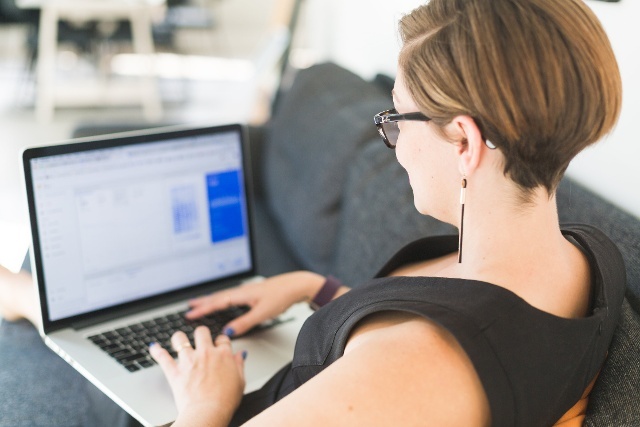 In the convert stage, try to engage your audience in the live chat room. You can ask your audience questions during the live broadcast that prompt a response and increase engagement. This is your chance to casually learn a little bit about your audience and identify your most engaged viewers. Further along in the conversion stage, you can offer a “content upgrade” such as an e-book or guide. This is the crucial next step for your audience as they enter into your CRM. During this step, use HubSpot landing pages and forms to automate the process. Once a contact fills out a form, you can have an email send automatically to the correct person or team to follow up. In the close stage of your video marketing funnel, you want to deliver live content that is appropriate for a contact who has already expressed interest in your offerings. Popular live video content in the close stage include: promotional events, QVC-style selling videos, and live testimonials. Live testimonials are a great way present customer success stories and allow current prospects to ask questions throughout the broadcast. Clients willing to come on screen for a live testimonial will make a impactful impression on your audience. Finally, the delight stage is perhaps the most crucial step for retaining your customers in the long run. 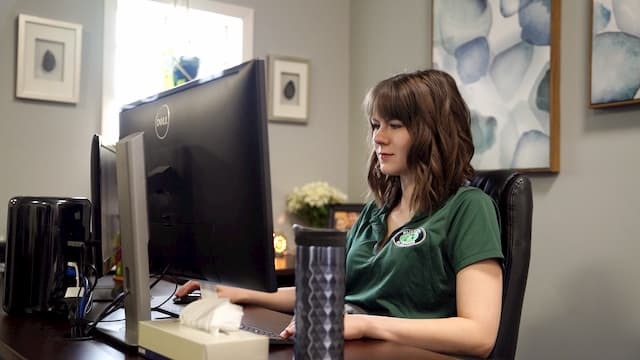 Here you can use live streaming for community building and leverage social media as a tool where your live viewers can discuss topics in more detail with like-minded professionals. Facebook has recently built in a new feature for live streaming privately directly to a Facebook groups. This is a great way to offer exclusive community content in the delight stage for live video marketing. 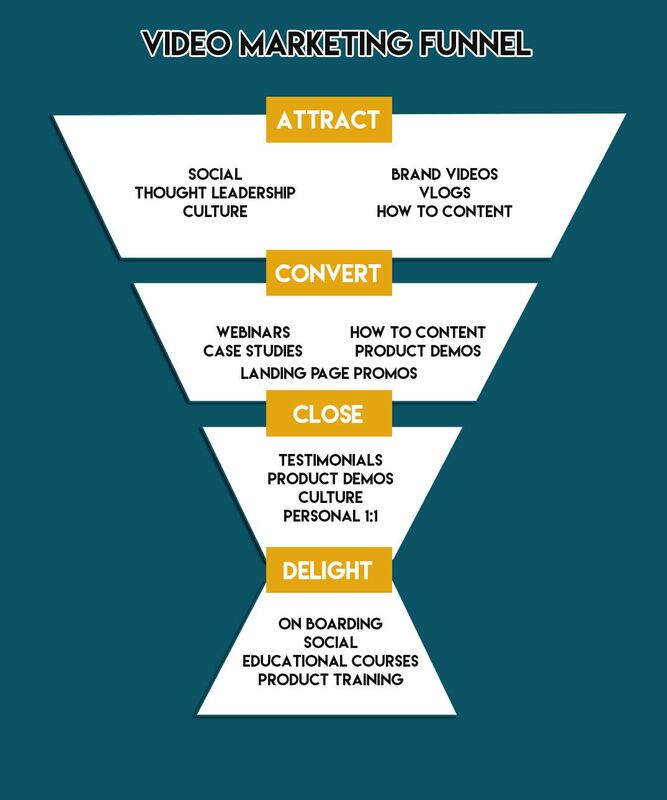 In each stage of your lead funnel it’s important to gear the content towards the buyer's next step in their journey. When it comes to video marketing, you can apply the same thought process. Video marketing and live video marketing are really not that different when it comes to strategy. In the attract stage of the video marketing funnel, you may be creating brand videos and uploading them to YouTube. In the same stage of the live video marketing funnel, you may create a lifestyle stream sharing live video moments around the office. Once you have determined an ideal topic for your live stream, it’s always a great idea to think of a compelling call-to-action. So before you schedule a live stream it’s important to be prepared with a detailed agenda and plan ready for implementation. 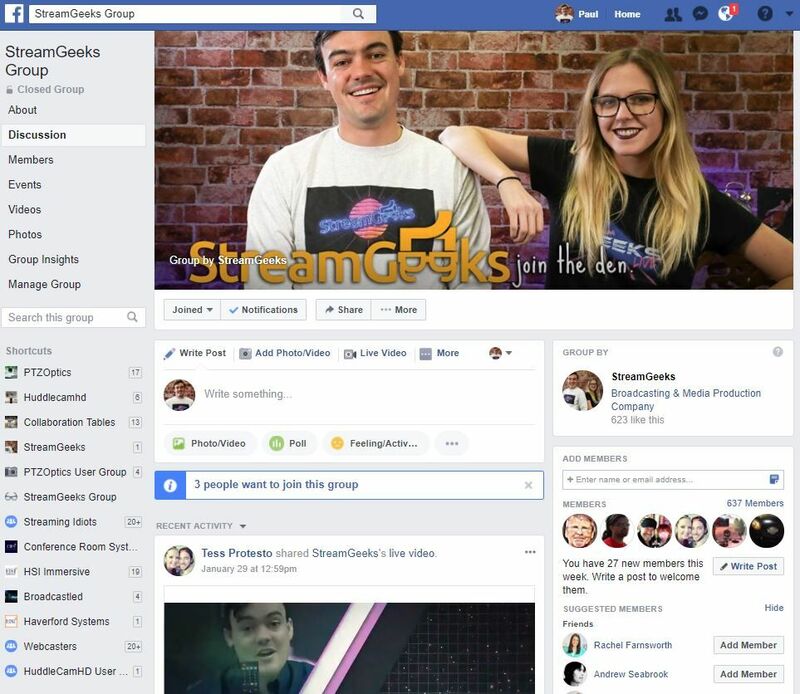 At StreamGeeks, our live streaming team includes two hosts and a producer. We all share a Google Doc to collaborate on before the show. With this, we can make sure everyone is on the same page about the show agenda and the workflow. Here's our step-by-step process for preparing an inbound marketing campaign with live streaming. Brainstorming is an incredibly fun part of marketing and you can use social media to help your team determine what could work for your next video. Once you have a social media following that cares about the content you're creating, you can engage your online community and effectively crowdsource the ideas that are most important to your users. If you have a bunch of ideas and aren’t sure which one will have the best impact, consider searching through Google’s trending tool. You can use this tool to see where your top keywords connect with popular search phrases that may even be trending up or down. Critical to your inbound lead generation success is a compelling call-to-action (CTA). A CTA is usually displayed as a lower third graphics on the bottom ⅓ of our screen during a live broadcast. This could be a live giveaway or a downloadable guide. To make your life easier during the live broadcast, you can create a dedicated button to display your CTA. You want your CTA to be displayed naturally during your conversation about the topic. 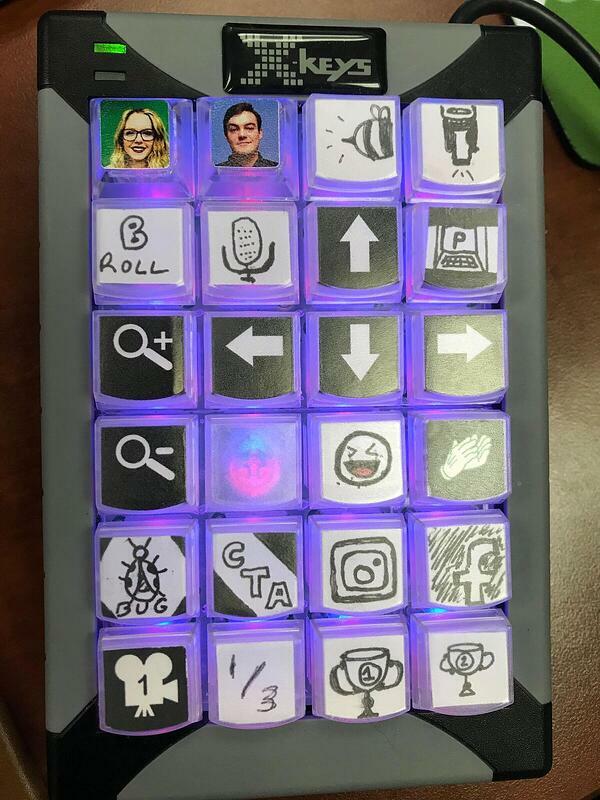 Most live streaming software have a feature called “hot keys” allowing your team to assign any key on a keyboard or USB device to trigger the event. Allowing your producer to quickly press the “CTA” buttons makes it easy for your team to stay on the same page and look professional. 3. Schedule your live event & email. Once your plan is in order, you can schedule your live events on both YouTube and Facebook. You can take the direct links to these videos and insert them as CTAs in your scheduled live show emails. You can use HubSpot to optimize the delivery of your emails to the correct contact personas. Use contact personas to determine the contacts that would be most interested in the content you are creating. You can also learn about your contacts' preferences using the HubSpot email analytics tool. If you have the resources, hosting a live giveaway is something that all audiences love. 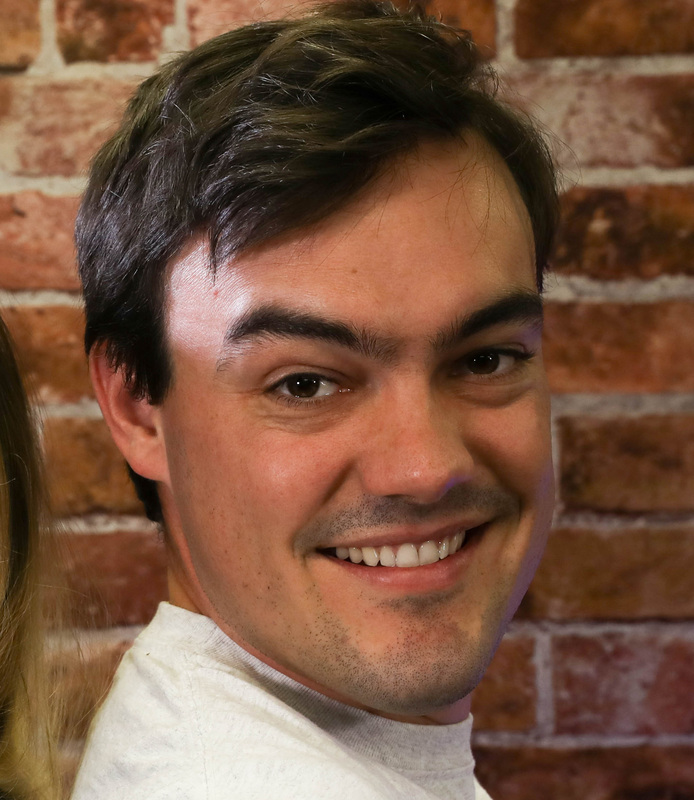 You can use Gleam.io which integrates with HubSpot to host your competitions. 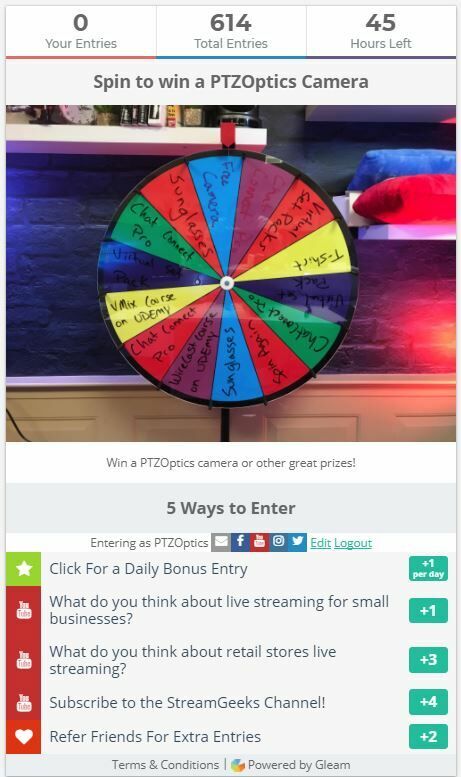 These competitions can be set up to promote your social media pages and drive more live viewership to your broadcasts. You can also use the HubSpot lead flows tool to generate additional interest through your website by displaying a CTA for website viewers to enter your live giveaway. 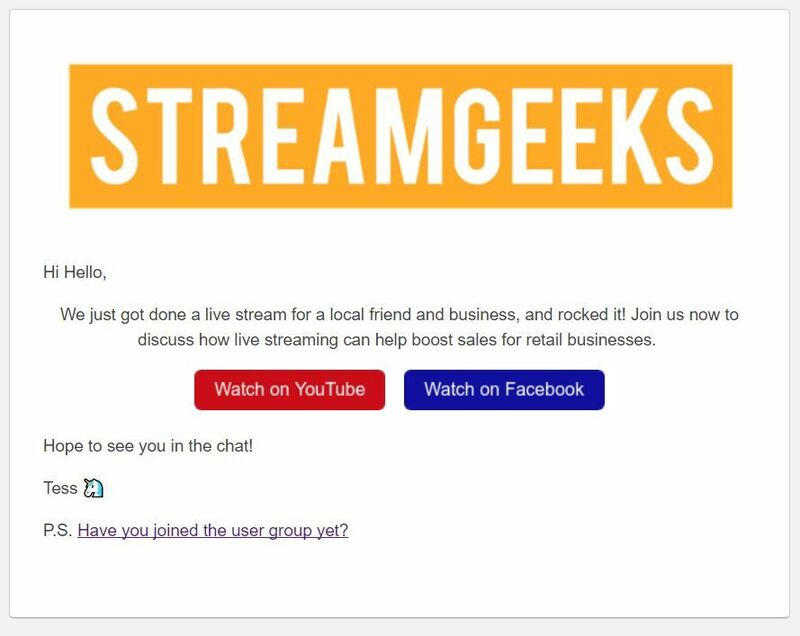 At StreamGeeks, we usually enable the lead flow banners 24 hours before our live giveaways to make the CTA timely and compelling. Once the live giveaway is over, you can easily turn the lead flows off inside your HubSpot dashboard. After all the planning is set, test your equipment, start your pre-show, and start the live show with a bang! Once the live broadcasts are over, you can turn the content into a blog post. 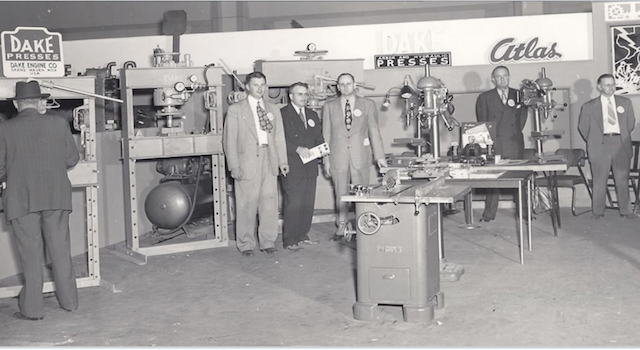 Your detailed blog posts can include images from the live broadcast, the embedded video, and notes about the show. An easy way to start blogging about your video is to take a picture/snapshots from your video that you feel explain crucial steps. You can take the pictures you have collected and explain what is happening in each as a source of inspiration for your writing. For a normal 10-20 minute video, you can take roughly 4-6 pictures and post them throughout your blog post. When you are done with the blog post, you can go back to your YouTube video and paste in a couple relevant paragraphs into the YouTube description. Let’s not forget that YouTube is the world’s second largest search engine. Using live streaming and video production to build out your digital footprint is a great way to build out topic clusters. You can use the HubSpot content strategy tool to build topic clusters and organize your content and enhance your search engine optimization based on a core pillar of content. Many times you find yourself with a well defined piece of pillar content and needing to build out all of the clusters. 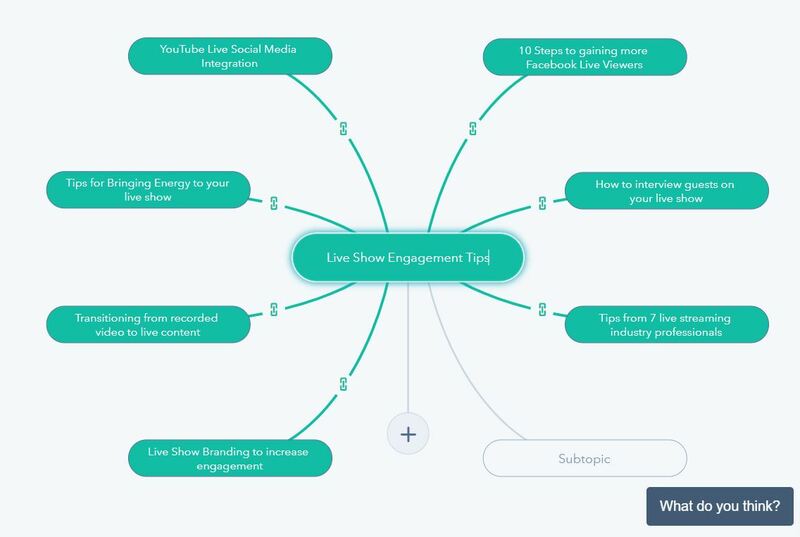 You can choose topics for your live streaming and consequent on-demand video content based on the hub and spoke model to increase your reach online. You may find that the topic cluster model helps your team discover holes in your content marketing and identify new pathways to blogging success. One of the wonderful benefits of live streaming is the organic reach and long term video ranking capabilities. When a normal video is uploaded to YouTube it has to accumulate views and watch time starting at zero. 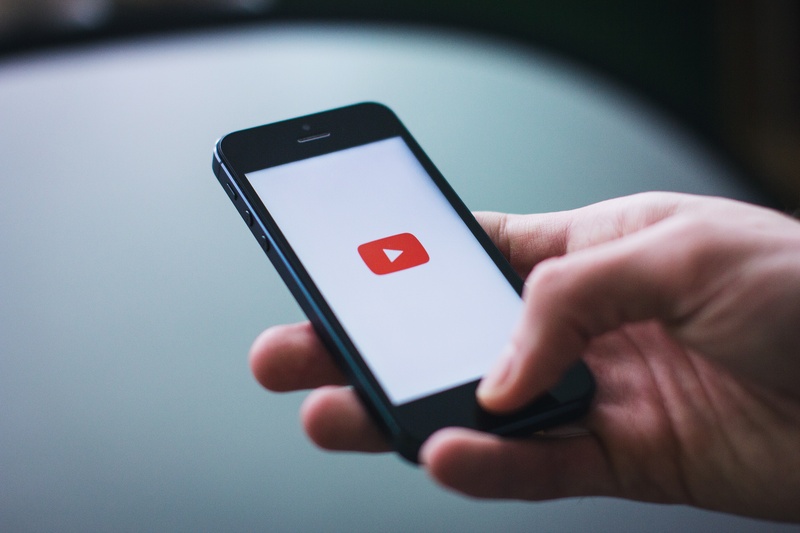 Watch time is one of the most important factors that YouTube uses to rank videos. Once you have an audience willing to tune in to your broadcasts, you will be accumulating views and watch time during your live stream. As soon as your video is available on-demand on either YouTube or Facebook it will have a huge boost over regular uploaded content. All the watch time you have accumulated during the live broadcast will automatically be attributed to your video.